Dental and Dentist At Phuket Smile Dental Clinic in Patong. Phuket, Thailand’s, very own tropical paradise not only boasts the lineup of world’s best beaches but also as a renowned destination for tourism, with it’s enhancing beauty coupled with being an international center for commerce in the Andaman region paved away for it’s development as the most favorable destination for your holidays. At Smile Studio Phuket dental, Thailand we provide ultimate dental services in Thailand. All dental services are taking care by specialists equipped with modern equipment for your confidence and to provide the best service. 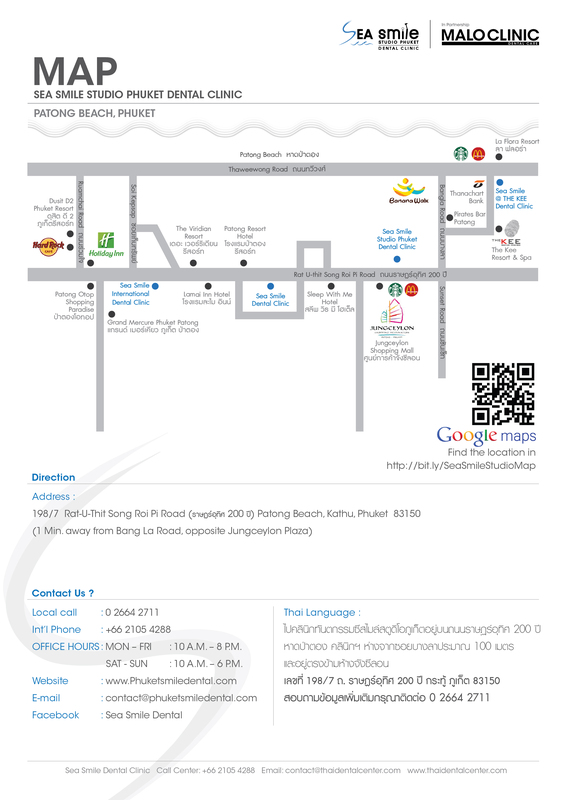 Located at Patong beach of Thailand with 4 rooms and equipped with most up-to-date technology and uncompromising sterilization methods. Around the world more than 300 million people are missing one or more teeth.